These purple Pear Brandywine tomato seeds are exclusive. Sport from a Purple Brandywine plant. Fruits are pear shaped, some doubles. Flesh is deep, dark, purplish-rose and intensely sweet. Makes excellent sauces. 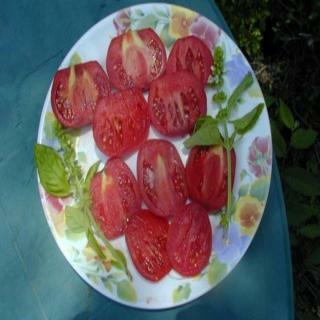 Exclusive purple pear brandywine tomato seeds. Sport from a Purple Brandywine plant. Fruits are pear shaped, some doubles. Flesh is deep, dark, purplish-rose and intensely sweet.